Victoria Stadium is currently the home ground of men’s national team of Gibraltar but only for friendly matches. Multi-purpose by design it has hosted cricket matches since 1993 and features an athletics track around the perimeter of the pitch. 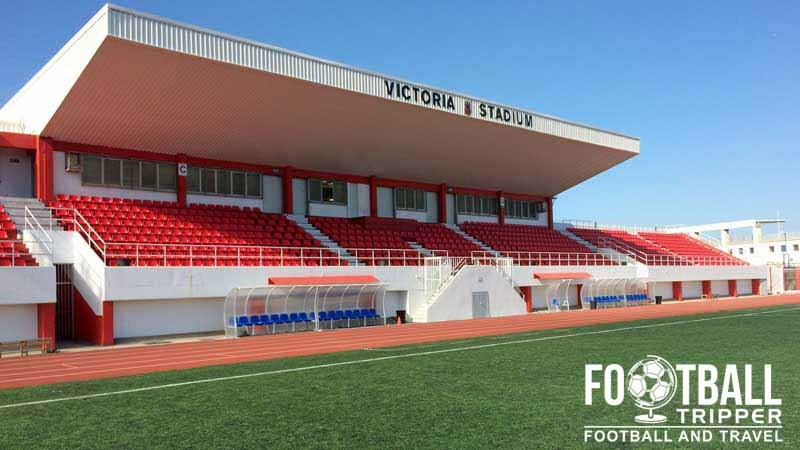 Victoria Stadium is named after the wife of famous Gibraltarian philanthropist John Mackintosh who made his fortune selling coal to the British navy and importing other goods from around the world. Upon dying in 1940 he donated the majority of his wealth to various causes in his adopted country of Gibraltar. 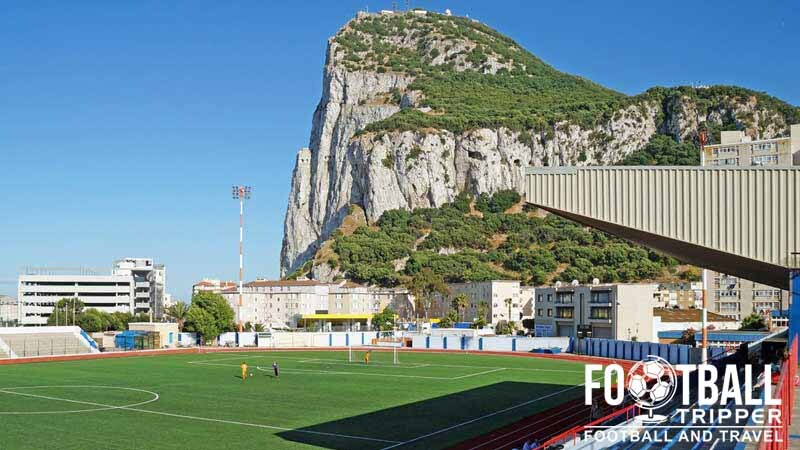 After UEFA accepted Gibraltar as a full member in May 2013 many accepted that Victoria Stadium would soon have to be replaced by more modern facilities. Currently the national team plays their matches at Estádio Algarve in Portugal which makes the case for a new ground almost evident by itself. 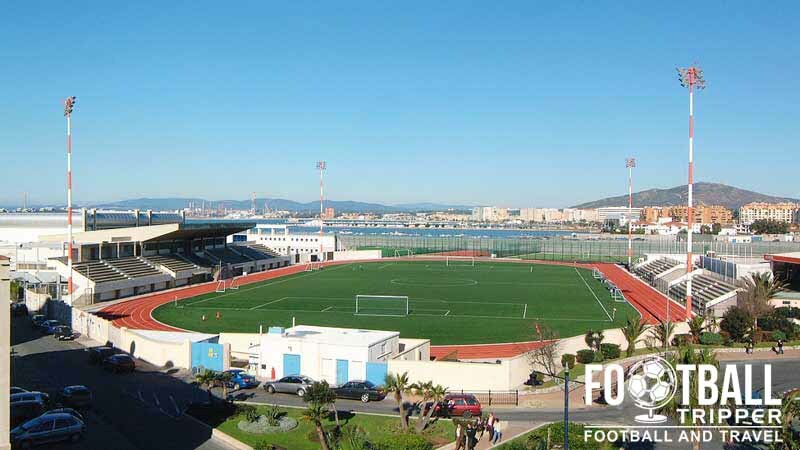 Expected to be located at the southernmost tip of Gibraltar on one of the only remaining flat pieces of land, the new venue will be known as the Europa Point Stadium. With views of both Spain and across to Morocco on a clear day it will certainly offer fans breathtaking views. 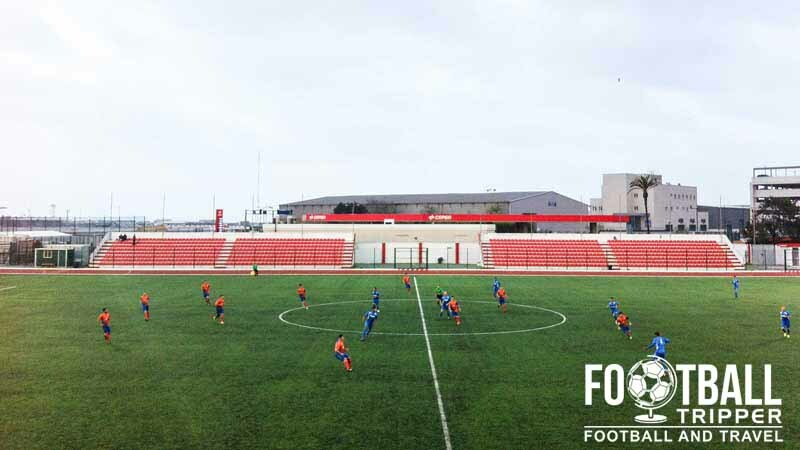 Set to open in 2016, Europa Point Stadium will feature a minimum capacity of 8,000 in line with UEFA’s Category 4 criteria, however the manager of the national team Allen Bula stated that it could be as large as 10,000. For now the 5,000 capacity stadium will remain in use for international friendlies and domestic matches. There doesn’t appear to be one available on the web! When Portsmouth FC played Gibraltar in a preseason friendly in July 2012 the away fans tended to congregate on the southernmost point of the east stand which is overlooked by the famous Rock. It’s hard to talk specific allocations and away ticket allocations as it’s almost as if all the tickets inside the ground could theoretically be sold to away fans and it wouldn’t be a problem. At least during pre-season matches and friendlies anyway. To give you an idea of the away size for the Portsmouth match some estimated that around 500 Pompey fans were in attendance. There is a small makeshift bar which operates on matchdays selling Coke and Carlsberg, however it’s hard to compete with Main Street which is only 1.4 km away. Tickets for the majority of matches are available to purchase on the day of the match on a first come first serve basis. The majority of matches don’t sell out so you should be fine to just turn up and acquire tickets. Victoria stadium is located across Marina Bay, south of Gibraltar International Airport on Winston Churchill Avenue approximately half a mile from the border of Spain. There are a handful of free car parks within Gibraltar but be prepared to be flexible and to walk 15-20 minutes to the stadium. Remember to always Always check the relevant parking signs before leaving your (hire) car! The famous runway at Gibraltar’s airport results in the traffic being stopped so that the plane can pass, sort of like you get at a level crossing for trains. Gibraltar International Airport is literally a stones throw away from the stadium with the adjacent Winston Churchill avenue, the road which connects Gibraltar from Spain, running across the airports main runway. There are numerous budget airlines which fly into from here including Monarch and EasyJet, both predictably from England. As a popular holiday destination there are plenty of hotels within Gibraltar and north of the border within La Linea de la Concepción. There are also plenty of affordable options across the bay at the port town of Algeciras including AC Hotel and Hotel lboran.